I was asked to guest blog on DeeDoanes.com Ms. Doanes focuses on the world of writing and publishing and I was thrilled to add to her site. This guest post comes from Michelle Ross. She’s a travel writer and book reviewer. 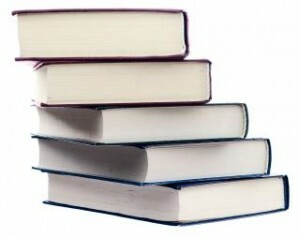 Michelle is currently looking for submissions of galley copies of books to review. When the air quality monitor ranges from “hazardous” to merely “unhealthy” for weeks on end, it is amazing how much time I have to catch up on my online reading. As my lungs thank me for hiding indoors, where I’ve got multiple air purifiers running, I’ve been amazed to read article after article rehashing the “e-reader vs. hard copy” debate. I can’t believe this is still a point of contention in the world of bibliophiles. With so many of the writers digging in their heels about paper and ink being the only way to read for true book lovers, while the progressive side pushes for screens and buttons as the wave of the future, I’d like to come down smack in the middle, sitting on the fence of reason. You see, as much as I love going to the bookstore, slowly wandering passed the “new arrivals” section, meandering into the aisles of travel writing, looping through the “up and coming authors” section, making a pit stop on a bench by the fashion magazines and then finally arriving at the discounted paperbacks, taking home a pile of books is no longer a viable option for me. As the spouse of a US Foreign Service Officer, my life is a cycle of packing my worldly goods into cardboard boxes, not to be seen for several (or more!) months at a time, living out of a suitcase, arriving in a new country where I may or may not speak the local language, only to unpack those boxes in my latest apartment, settle in for a two year stay and then start the process all over again. Doing this with the shelves and shelves of hardcopy books that I owned as an English teacher is nearly impossible! (It is pretty amazing how quickly you can hit a weight limit when your boxes are filled with nothing but novels and travel memoirs.) So, while I *heart* the independent bookstore as much as the next gal, my e-reader has been my lifeline abroad! With hundreds of novels at my fingertips, I no longer have to figure out which books are getting left behind- this time. The young adult novel I downloaded while feeling nostalgic for my 8th graders is safe and gets to venture on with me. The memoir of the blogger turned author (lucky girl!) lives on to be giggled at in airport terminals around the globe. The heartwarming, if rather simplistic, novel about at-odds brothers who reunite later in life continues to take up space, but a small enough amount that it remains a book cover icon to be thumbed through on my e-reader homepage. These are the books that would probably not make the cut if they were traditional, bound paper editions, but because they are mere bits of information, adding not a single ounce to my already strained carry-on bag, travel from America to China to Thailand and the Maldives and destinations yet unknown. The world of book-lovers doesn’t need to be divided down these arbitrary lines of loyalty. The world isn’t black and white, just like the newest wave of e-readers, shades of gray (maybe even for than fifty!) and a rainbow of colors abound. Yes, I still have several boxes of books that make the move with me every two years and yes, the number of boxes in that category continues to grow as there are times I just can’t resist the smell of a newly bound book, the feel of the pages feathering through my fingers. But, as a bibliophile traveler, the fence of reason is my book format home. Thanks for the great article Michelle! Thanks for the opportunity. I loved writing for a different audience. And, thanks for the note about my interest in being a galley copy book reviewer! I’m hoping something comes of it! You’re more than welcome. I’m sure you will get lots of submissions. Authors always need book reviewers.